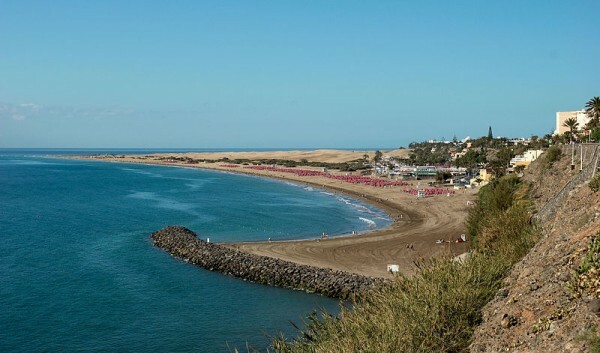 The best known resorts in Gran Canaria probably are Maspalomas and Playa del Inglés. However, there are many more where you can spend your vacation. These are the best resorts in Gran Canaria. Bahía Feliz is a first resort going from the airport to the southern part of Gran Canaria. Bahía Feliz stands out from the other resorts with an interesting design of the apartments which gives you a feel of Morocco. There is a decent selection of bars, restaurants and shops in the middle of town. 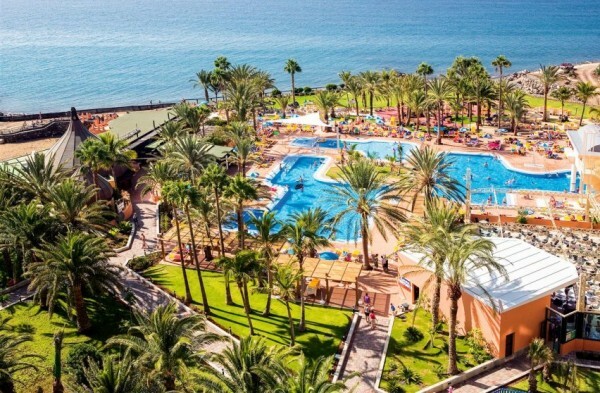 However, Bahía Feliz is very quiet resort and although it is not a perfection destination for nightlife seekers, it is one of the best resorts in Gran Canaria for families and tranquillity lovers. Meloneras is one of the newest and smallest resorts in Gran Canaria so far, split by the lighthouse from the more famous neighbour – Maspalomas. Lots of new hotels, bungalows and villas have been built in recent years with many more still to come. There is already a big commercial centre with a vast selection of bars, restaurants, cafes and shops. San Agustín was one of the first resorts designed for high-income tourists in the south of the island. 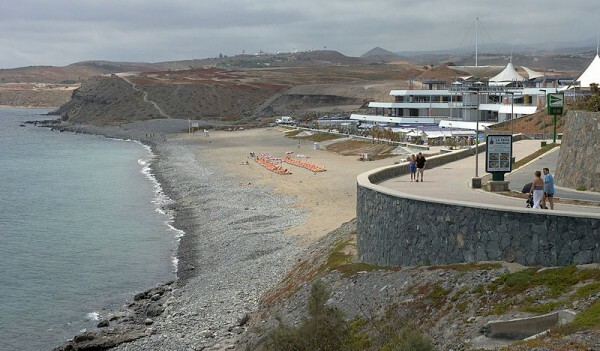 San Agustín has two dark sand beaches: Playa San Agustín and Playa de las Burras, which are connected by an attractive cliff-top walk. It is a quiet resort with a relaxed atmosphere, but you can always find some attractions in the nearby Playa del Inglés. 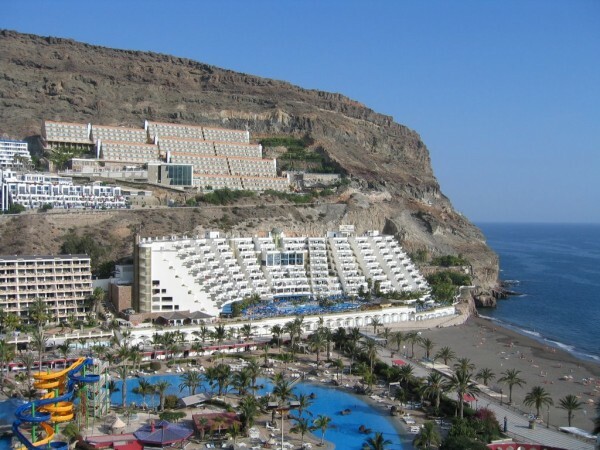 Playa de Taurito is a resort which was built in one of the narrowest valleys in Gran Canaria. Taurito attracts visitors with the “Lago Taurito Oasis” – an open-air water park. The grey sandy beach is fine and big enough for the size of the resort. Playa del Inglés – it is the largest, probably the most popular, liveliest and one of the best resorts in Gran Canaria. There is a vast selection of hotels, apartments, villas or bungalows for all tastes. Much of them has been renovated in recent years. Playa del Inglés has many commercial centres, nightlife spots, including places for gay visitors, like Kasbah or Yumbo shopping malls. There are a lot of bars, pubs, cafes and restaurants, offering to taste British, German, Chinese, Italian and of course Spanish food and drinks. The sandy beach of Playa del Inglés is really big, provided with sun-loungers and snack bars every few hundred meters. 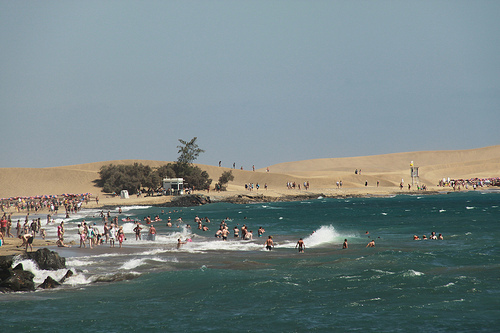 Maspalomas is the oldest resort in southern Gran Canaria. Maspalomas is well known for its beach and giant golden sand dunes, one of the most photographed objects in all the Canary Islands. There is a big selection of accommodation, from expensive and prestigious 5 star hotels to cheaper bungalows. Puerto Rico is a medium-sized resort in the southwest of the island, situated in an unusually wide valley. 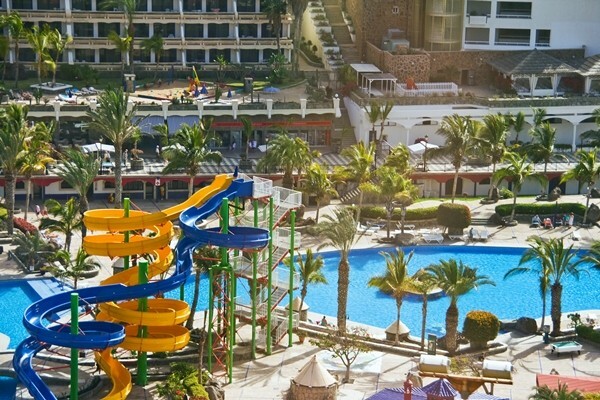 There you can find attractions such as aqua-park, shopping centres, nightlife spots or sports facilities. The golden sand beach of Puerto Rico is not very big but pleasant. From the Puerto Escala there is a cliff-top footpath to the other one – Playa de Amadores – a more spacious man-made beach. Puerto de Mogán sometimes is called as the “ Venice of the Canaries” because of its attractive architecture with arches in the buildings and beautiful bridge across the canal-like ravine. Puerto de Mogán was transformed from little fishing village to one of the best resorts in Gran Canaria. 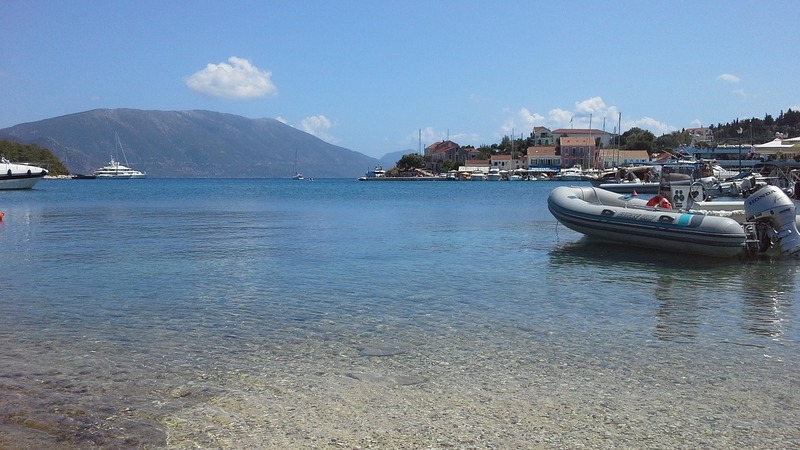 It is a quiet and charming resort, which attracts visitors by its combination of a typical fishing village and a local style marina. 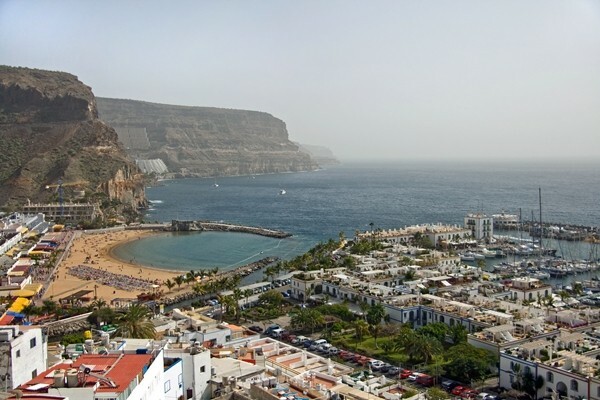 Puerto de Mogán has a nice golden sand beach backed by a promenade, where you can find some great restaurants. These are the best resorts in Gran Canaria. 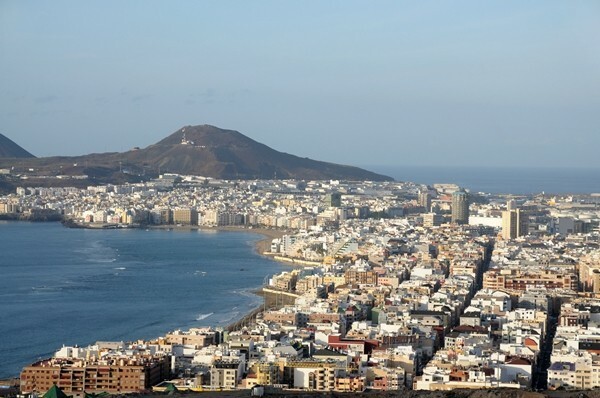 But if you are not a fan of a typical tourist resort and would rather choose a big city, full of local people, you should consider staying in the capital of the island – Las Palmas. There is not only a big selection of museums, historical buildings, bars and nightclubs, but also Las Canteras beach – a place where you can feel like at the resort. There are a lot of things to do in Gran Canaria depending on your taste and budget.